Habit: fast growing, reaching heights to 75 feet (25m) with an open, broadly pyramidal or dome-shaped crown with branches slender and spreading. The green leaves are elliptic to ovate with leaf margins double serrated and rolled under. Male catkins pendulant and female catkins are cone like, short, thick and born upright. Alnus rubra’s red flowers bloom from early to mid spring. The thin bark is generally smooth, ashy gray to grayish-brown. Ecology: pure stands are typically limited to stream bottoms and lower slopes. It is more widely distributed within mixed evergreen forests and redwood forests in coastal areas and will tolerate salty brackish water. 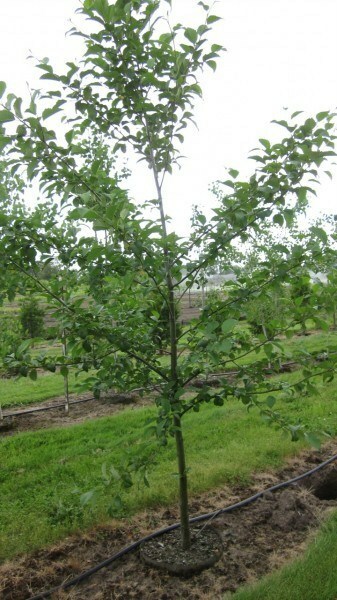 Red alder is generally found within 125 mi (200 km) of the ocean and at elevations below 2,400 ft (750m). Growing Conditions: full sun to partial shade and dry to moist or seasonally flooded soil. It is found on a wide range of soils, from well-drained gravels or sands to poorly drained clays or organic soils. 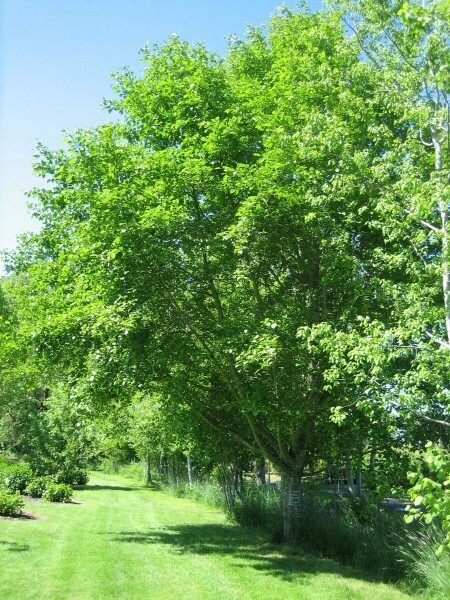 Red alder can be used to control erosion in forested riparian buffers as well as on steep slopes in disturbed areas. It is a high nitrogen fixer from both its roots and leaf litter. Most seeds remain on the tree well into the fall and winter months, providing valuable resources for seed-eating birds, insects and mammals.